For the past couple of days, we have been listening on Apple being hard at work on unveiling a smaller version of the iPhone, reports just came in that the fifth-generation smartphone would actually feature a larger screen. The Cupertino-based gadget giant would roll in the product, a straight hit on Android devices which deliver a much larger screen compared to the iPhone on shelves. With rumors that the new iPhone is expected to be released this summer, would sport a 4-inch screen with sources confirming that the upcoming smartphone is already in the testing phase. With Apple’s intention on making the device competitive with other smartphones, this move would make it cheaper and smaller, bringing the price range amongst the Android gadgets available in the market. 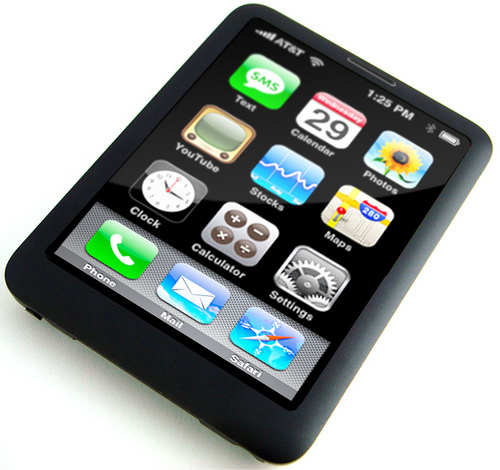 According to some Apple component suppliers, Apple had begun testing the larger screen size smartphone. In order to adopt the Google Android Platform which mainly support the 4-inch and larger models, just as Samsung Galaxy S and Google Nexus S sport 4-inch panels, Apple needs to go ahead with the plans and change industry dynamics from small to medium sized panels.